Jeb Bush served as governor of Florida from 1999 to 2007. As governor, he focused on reforming education. Florida students have made the greatest gains in achievement, and Florida is one of a handful of states that have narrowed the achievement gap. Before launching a run for the Republican presidential nomination in June of 2015, Governor Bush led his own successful consulting business, Jeb Bush and Associates, whose clients ranged from small technology start-ups to well-known Fortune 500 companies. Eric Cantor is Vice Chairman and Managing Director of Moelis & Company. He is also a member of the Moelis & Company Board of Directors. Mr. Cantor, who has more than 25 years of political and business experience, was formerly United States Representative for Virginia’s 7th Congressional District and House Majority Leader. He served in the U.S. House of Representatives between 2001-2014. 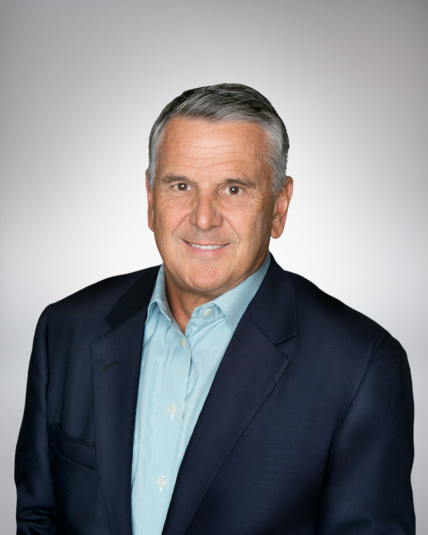 Gary Chartrand is the Executive Chairman of Acosta, a leading full-service sales and marketing agency, providing outsourced sales, merchandising, marketing and promotional services to manufacturers in the consumer packaged goods industry. In 2007, Chartrand led a community effort to help bring Teach for America to Jacksonville, Fla. Jacksonville was the second city in Florida to have attracted Teach for America to its community. In 2009, Gary and Nancy Chartrand made a pledge gift to KIPP schools of Jacksonville to help bring the first KIPP school to Florida. Because of his passion for education, coupled with his business and leadership experience, Governor Rick Scott appointed Mr. Chartrand to the Florida State Board of education in 2011. F. Philip Handy is the CEO of Winter Park Capital. Mr. Handy is also the former Chairman of the Florida State Board of Education. Dee Bagwell Haslam owns the Cleveland Browns football franchise and is one of Ohio’s leading philanthropists. Mrs. Haslam is also CEO of RIVR Media and part of the family ownership group of Pilot Flying J, one of America’s largest private companies. She serves on the board of major community, education and health care organizations in Ohio and Tennessee. William S. Simon is currently a senior advisor to the investment firm KKR. Previously, Mr. Simon was President and CEO of Walmart U.S. He served as Secretary of the Florida Department of Management Services and spent 25 years in the U.S. Navy and Naval Reserves. Mr. Simon also serves on the Board of Directors of Darden Restaurants, Inc., Chico’s FAS and Drizly, an e-commerce startup. He is also a faculty member and Executive in Residence at the Baylor University Hankamer School of Business. Zachariah P. Zachariah is president of the Fort Lauderdale Heart Institute and one of the nation’s leading cardiologists. Dr. Zachariah served on the Florida Board of Governors, which oversees the management of Florida’s university system, from 2003 – 2010.